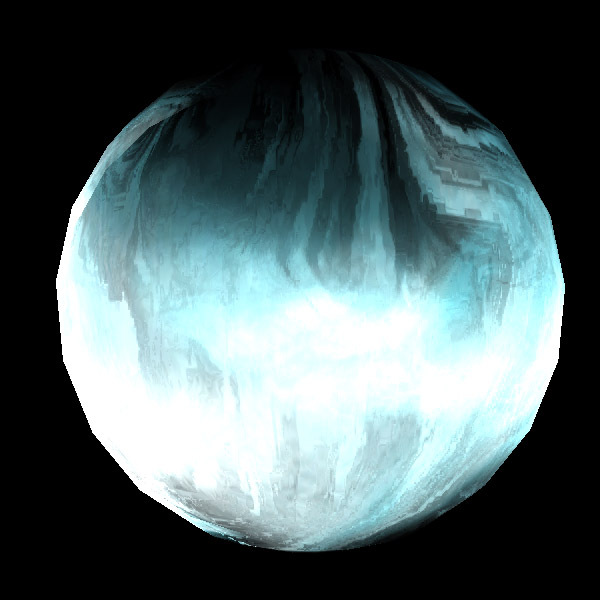 This material uses custom UVs to simulate a simple fluid dynamic. 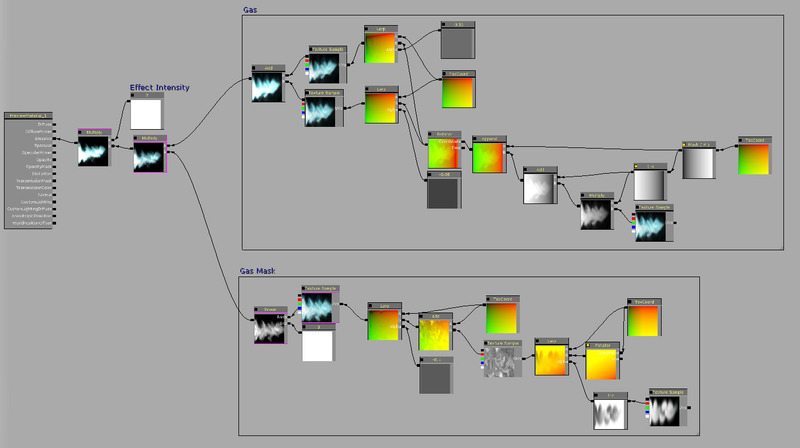 The flow map is based on the initial hand painted texture intensity for the effect. The opacity is then determined by a custom set of UVs with a softer version of the flow mask to guide them. 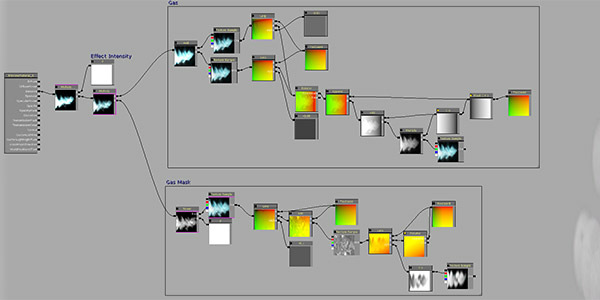 A noise map is then applied using the softer UVs to help break up the opacity. The intensity on the flow maps determines the direction of the pan with areas in white acting as the destination. To ensure that the material cycled seamlessly the cycle was created using a rotator.